1. Instant is the way to go! 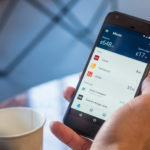 The concept of Android Instant apps is making waves as the technology has been created by Google to enable the users for accessing the Android apps faster than ever. In fact, users can access and explore these apps even without downloading and installing them on their smartphones. Just a tap and they have access to high-performance apps in a seamless manner and without consuming storage space on their devices. 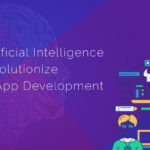 Chatbots have become an integral part of Android apps since the last few years and the trend continues in 2018 too. The reason behind the popularity of these smart virtual assistants is the growing inclination towards conversational interfaces. Most businesses want to deliver better user experiences to their customers and inclusion of AI-powered chatbots in their apps makes this possible. 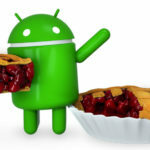 Security will perhaps be the biggest concern for Android app developers at present. Businesses investing in apps will demand data security as most of them are used for commercial purposes and transactions. So programmers will have to ensure that every little bit of personal and financial details is safe from hackers looking to steal it and use it unlawfully. It has been predicted that the number of connected devices will witness a booming growth in the coming years. By 2020, there will be as many as 30 billion connected devices. This spells new opportunities for businesses who will now need to invest in IoT-based apps to keep pace with the trend. There will be apps for smart automation to run connected devices for smart homes, offices, and cities. 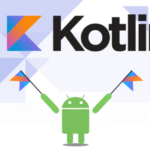 Another trend that is making it big in the Android app development space is that of Kotlin, a new language that was introduced in early 2016. A simple and concise language, Kotlin is easy to learn and has a lean syntax. This is the reason that developers are willingly exploring its potential even as it is still in its evolutionary phase. The growth of the Cloud technology has been commendable over the last years and this year will be no exception. In fact, the Cloud grows bigger as it makes inroads into the Android app space. The implementation of cloud computing modules in the apps enhances their productivity as well as adds value to them. The initial response that in-app search filters within Android apps received was lukewarm. However, things have changed now as this is becoming a popular trend these days. 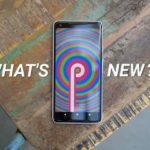 This is one smart feature that renders better user experiences with effective searches for the in-app content. So ensure that you demand this feature when you hire Android app developers to create your business app. The success of Uber and Ola has ushered a new trend for the Android scenario and this is the trend of on-demand apps. Such apps are meant to push the growth of businesses that do not keep an inventory but provides goods and services as soon as user demands them. The business model is complex as it involves procurement of goods/services from the supplier and their delivery to the customer. The process is handled by high-tech Android apps specially tailored for the businesses. 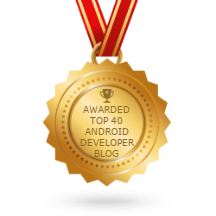 Another amazing trend that Android developers are following is the creation of MVP(Minimum Viable Product). These products are based on the “Build – Measure – Learn” principle and work best for startups that want to drive innovation with minimal investments. Developers work on the Lean methodology, building only what is required and when it is required by the business. Like the last few years, wearable apps continue to win as more and more businesses are keen to invest in them. No wonder, the demand for these apps has seen a spurt right from the beginning of 2018 and there is plenty more foreseen for the rest of the year. 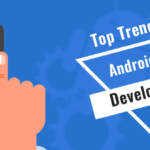 If you are planning to invest in an Android application for your business this year, make sure that these trends are followed. Partnering with an expert is the best way to avail a futuristic mobility solution. 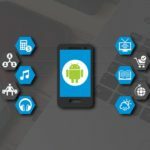 At Android Developer, we are a renowned Android app development company that caters a full range of services for diverse business requirements. We are a team that leads the way in creating high-tech apps that follow the latest trends and implement the most advanced technologies. 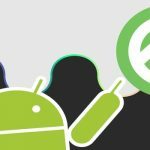 Tags: Android Apps Development on April 3, 2018 by admin. Its not my first time to pay a quick visit this website, I am visiting this web site daily and obtain fastidious information from here daily.